The Marijuana Industry: Where Do We Go From Here? You are here: Home / Industry News / Cannabis Investments / The Marijuana Industry: Where Do We Go From Here? The velocity and breadth of growth in the marijuana industry will, for the most part, be determined by the pace of state and, eventually, national legalization. Eventual rescheduling or de-listing of marijuana as a federally prohibited drug will hopefully lead to consistent and uniform national regulation and taxing authorizations that will ultimately change the structural and economic landscape of the Cannabis Industry. A statistical analysis of current sales trends is a useful tool to understand a newly liberated consumer base and allows us to make certain reasonable projections for subsequent growth rates. But such analysis, in a holistic sense, is somewhat contingent upon the direction of future political and legal reforms. Though it is hardly possible to predict a specific timetable for the full legalization of marijuana and its resultant market maturity, investors and operators should follow certain present, medium, and long term trends as they make investment decisions. 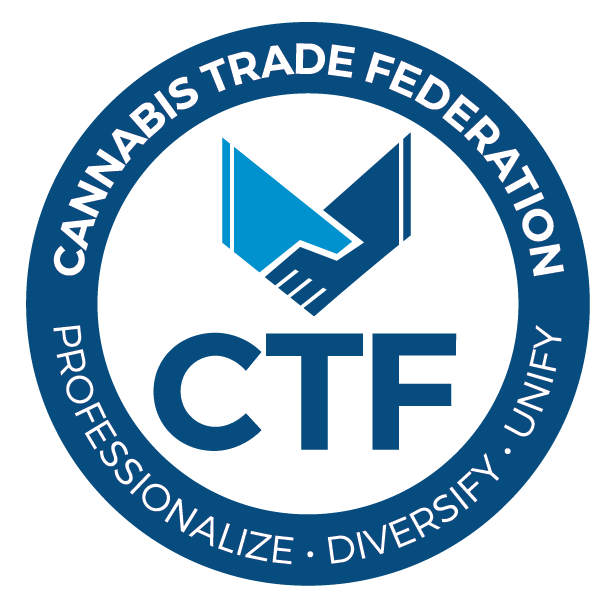 Concurrent with the trend of additional states passing legislation providing for medical and/or recreational legalization, conversations and initiatives at the Federal level are seeking to minimize the current restrictions of absolute prohibition statutes and guidelines, or remove them altogether. We see this progression of national sentiment continuing until actual rescheduling or de-listing removes the major barriers that have limited the normal economic development of the industry. Furthermore, once state specific legislation is passed to legalize cannabis in some capacity, the number of cultivation and sales licenses awarded will affect the growth rates for that state. A restrictive regime that issues 10 licenses will see drastically different growth than a more free market approach adopted by states such as Colorado and California. Along with this continued march towards national acceptance, questions concerning uniform standards of cultivation and the preparations of infused products are being addressed, so far, at the state and local level. These discussions will continue in good faith until broader mandates for universal adherence are established. We believe that the medical sector is presently suffering under an identity crisis. Whereas the call for medical exceptions initially fueled the reform movement, the introduction of recreational use has somewhat stripped away the allure of patient registration and physician acquiescence as a means of access to legal cannabis. The research and development of specialized strains targeted at the relief of specific medical conditions is in its early stages. Until cannabis is rescheduled at the federal level, it will continue to be difficult for researchers in the Unit States to make significant progress on research that explores cannabis and its role in preventing or mitigating various diseases and conditions and present their findings to both the medical community and general public. As more states end marijuana prohibition at the state level, the federal government will finally capitulate. A change of policy by the DEA, whether voluntary or induced by a series of Congressional enactments that make the current class 1 scheduling moot, will be simultaneously predicated upon regulations administered by federal agencies such as the FDA, EPA and the U.S. Department of Agriculture. We believe the FDA and Department of Agriculture as the most likely agencies to implement policy regarding the safety and assurance protocols for cannabis cultivation and product sales. Clear policy and rescheduling will likely spur a wave of interest in the research and development of marijuana-based medical treatment . The medical marijuana market will be redefined as the pipeline of new, more targeted medications with precise dosing and efficacy expands with some products requiring a prescription and others sold “over the counter.” Subsequently, we expect the medical profession will gain more comfort in “pushing” a marijuana treatment rather than a patient having to “pull” a recommendation from a doctor. These developments are difficult to place time frames on, as legislation will lead to guidance that will lead to increased entrepreneurial and scientific efforts. The recreational market should likewise continue to flourish as the ability to conduct normalized commerce will enable larger cultivation enterprises to propagate into additional markets while established brands of infused products will likewise be able to expand untethered by state boundaries, to become national brands and enjoy the benefits of interstate commerce. In the long term, we see a mature recreational Cannabis Industry with national, regional, and local players similar to the alcohol industry. No doubt there will occur a consolidation of players in the medical sector with competition between proven players providing an increased number of products that treat the same disease or condition. We are not able to project how large the medical sector could eventually grow, as research and clinical trials are still a long way out. As this research has time to incubate and theories and claims are vetted we will know more. Whatever the depth of applications that are in fact proven and accepted, the medical market will reach a maturity and fully compliment a vibrant recreational market. States will most probably decide to regulate and collect tax revenues under a single umbrella mechanism in much the same fashions as they monitor alcohol and tobacco. In this scenario a single regulatory entity, such as the state Liquor Control Board, will oversee marijuana, alcohol, and tobacco. Matthew (Matt) Karnes has over 25 years of diverse finance and accounting experience. Prior to founding GreenWave Advisors LLC, Matt worked in equity research focusing on the Radio Broadcasting and Cable Television industries for First Union Securities. Matt also covered Satellite Communication at SG Cowen and in addition, worked with the top ranked Consumer Internet analyst at Bear Stearns & Co – this team was consistently recognized by the Institutional Investor’s “All America Research Team”. As a sellside equity analyst, Matt authored and co-authored numerous emerging industry research reports including such names as Google, Sirius, XM Satellite Radio, DIRECTV and EchoStar Communications. Matt was also Principal and Senior Equity Analyst at Bull Path Capital Management, a New York City based hedge fund, where he was responsible for investment strategies of emerging technologies primarily within the Technology, Media and Telecom sectors. Prior to his career on Wall Street, Matt held various finance and accounting positions at PriceWaterhouse Coopers and Deloitte as well as at Texaco Inc. where he worked throughout the U.S., Europe, The Caribbean and Asia. Additionally at Chase, Matt was responsible for implementing the bank’s corporate accounting policies on commodity, interest rate and foreign currency derivative products. Matt graduated from Fordham University with an MBA in finance and earned a B.S. Business Administration with a double major in accounting and finance from Miami University (OH). Matt is also a Certified Public Accountant. Matt can be reached at [email protected] GreenWave Advisors, LLC is based in New York City.